Sometimes, food for the soul is a movable feast. 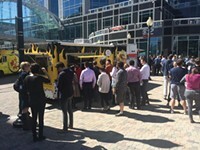 It's served up hot and delicious from a truck that's here today and gone tomorrow. And part of the fun is finding it. The best thing about food trucks is they can be anywhere at any time since they aren't tied down with bricks and mortar. 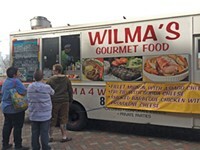 By the same token, the most challenging thing for food-truck fanatics is that food trucks can be anywhere at any time. 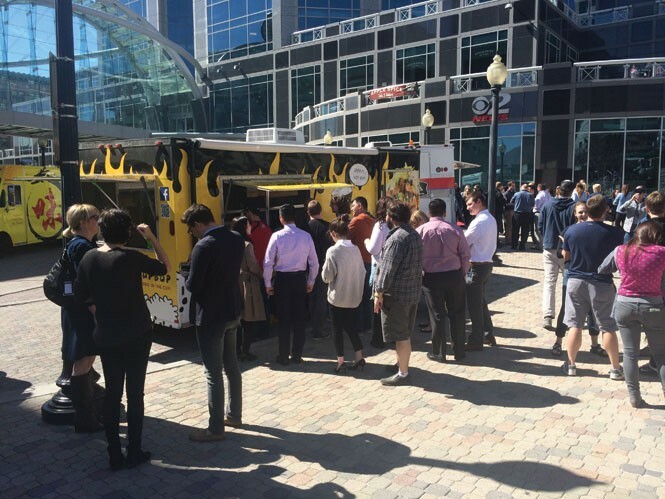 There are certain places—such as Gallivan Plaza on Thursdays or the Downtown Farmers Market on Saturdays—where you can reliably find gatherings of food trucks on a regular basis. But tracking down a specific truck on a daily basis can require cloak & dagger-style sleuthing that can feel like tracing some illicit dealer to a park. You try something that gets you hooked, and then find yourself obsessing about where you can find your next fix. Where will they be tomorrow? When did they last tweet? Have they updated their website recently? Wait, what about their Facebook page? Part of the fun is that food trucks are always on the move. Some trucks use their websites to post a week in advance where they will be and when. Others post only on Facebook, while others will only use Twitter. Another reliable route is to check out the tweets from @utahfoodtrucks. Out of all the food-truck dishes we've tried, the one we can't wait to try again is Wilma's tri-tip steak sandwich with melted gouda on ciabatta. It just melts in your mouth. That's our preference, but what they usually sell out of is the filet mignon with Asiago cheese on a rosemary-Parmesan bun. The Brazilian chef has a great sense of humor and keeps visitors entertained while he prepares the food. Chow takes a number of different cuisines and mixes them together to be served in a variety of ways. Choose from a taco, slider or salad and load it with coconut-lemongrass chicken, pineapple-ginger pork, spicy beef with cilantro-chile pesto, panko-fried tofu or flash-fried calamari. Our favorite? The panko-fried shrimp tacos. There are also different monthly specials, such as the elk slider topped with chimichurri and Peruvian peppers. The Chow Truck is easy to find, since the website is updated weekly with days, times and locations. Go to a gathering of food trucks, and you'll find that Cupbop generally has the longest line. Fortunately, the line moves pretty quickly. Part of the reason is the fun vibe the Cupbop staff gives off with shouting at each other, loud music and occasionally exiting the truck to dance. However, the biggest reason for its popularity is that once you've tried "Korean BBQ in the cup" you'll become a repeat customer. The cup comes loaded with rice, lettuce, noodles, and you pick from chicken, beef, pork or veggies or make your own combination. Don't forget to add Korean pot stickers on top. Once you've placed your order at one window, you move over to the other window and tell the guy how hot you want it on a scale of 1 to 10, and he loads it up with the appropriate sauces. When he's done, you've got a meal in a bowl. Besides catering and offering cooking lessons, Rubadue's Saucey Skillet specializes in "high-quality comfort food," such as four-cheese mac & cheese, cilantro-chicken-pesto sandwiches and a classic BLT on ciabatta. 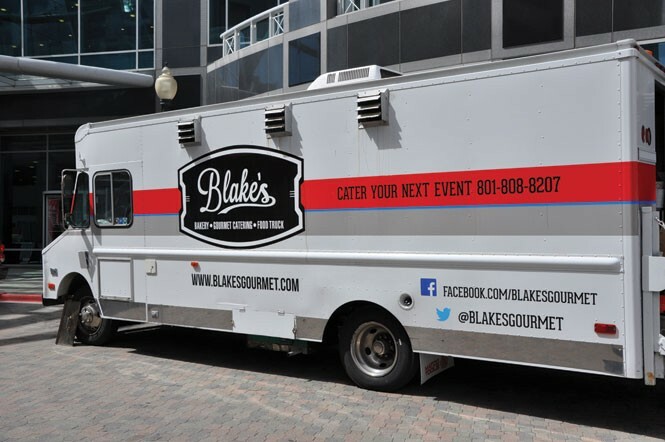 There are all sorts of sandwiches and salads to choose from at Blake's, but the most popular items are the sliders. Options include a schnitzel slider, barbecue jalapeño and other seasonal varieties. Try two or three different choices together along with a side of spiced fries —complete with fry sauce (this is Utah after all)—and fresh lemonade. The fact that their Facebook posts are in Spanish should tell you that 3 Brothers knows their tacos. You can find them everywhere from outside Beer Bar on a Friday night to the Downtown Farmers Market on a Saturday morning. Either way, they'll be serving up not just tacos, but tortas, burritos and quesadillas. Cherry's has you covered no matter what the weather is like. When it's cold out, there's nothing better than hot chocolate. When it's hot out, there's nothing better than frozen hot chocolate. Either way, you win. Also, if you're not married, you'll want to look into having Cherry's bring their "s'mores bar" to the reception whenever you decide to tie the knot. If you're already married, you might want to consider renewing your vows so you'll have an excuse to get the s'mores bar. What's better than a wood-fired pizzeria? A mobile wood-fired pizzeria. Even better than that, how about a mobile wood-fired pizzeria that serves up not only traditional classics such as a margherita or white pizza stocked with ricotta and mozzarella, but also special recipes such as sweet corn with bacon or crushed pistachios with rosemary and red onions. Don't be fooled by the name. On just about any day of the week, you can get delicious dishes such as chicken and waffles on a stick, lemon curd and raspberries on a liege waffle or "The Benny"—a waffle topped with bacon, egg and hollandaise sauce. Waffles aren't just for breakfast, either. At lunchtime or in the evenings, look for the vintage trailers and a waffle with a face on it, and you'll know you're in the right place. 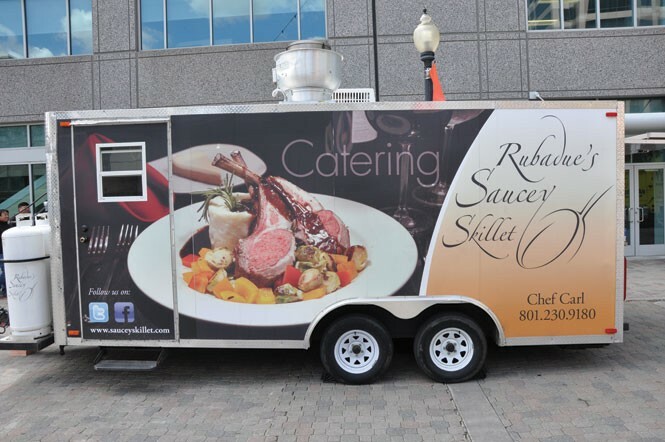 Whether it's breakfast on a weekend, lunch on a weekday or snack outside a club late at night, Salt Lake City has a food truck for every occasion. Kathleen Curry and Geoff Griffin trek around the globe near and far and host the Travel Brigade Radio Show and Podcast. You can find them at TravelBrigade.com and on Twitter @TravelBrigade.